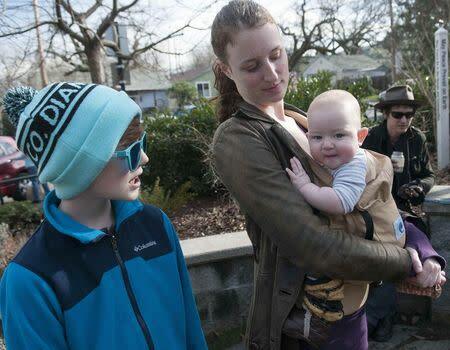 ASHLAND, Ore. (Reuters) - When Melissa Orion’s unvaccinated baby contracted whooping cough, she was grateful for modern medicine - its emergency rooms and even its antibiotics. But the Ashland, Oregon, mom did not question her decision not to inoculate her child, and still does not, despite the outbreak of measles in some 20 U.S. states, linked to California’s Disneyland park, that has infected more than 120 people. "I put him on antibiotics," the 31-year-old artist said. "But I felt the risk of vaccine was worse." College-educated, middle-class and white, Orion is like many in this quaint city of 21,000 just north of the California border who have declined to vaccinate their children. As measles cases have spread in the United States and a new outbreak of mumps has sickened at least 23 people in the northwest states of Idaho and Washington, much attention has been focused on parents who decline some or all vaccinations for their children. In Ashland, a quarter of kindergarteners started school last year without all their vaccinations, among the highest rates in the country. None of the community's public schools has the 92 percent of vaccinated kindergarteners needed to provide the so-called herd immunity that protects those who are vulnerable to infection. But persuading the community's independent-minded, frequently affluent families to change their views is a perplexing task for public health officials, who are more used to helping the poorest and least educated parents find free or low-cost vaccinations than having to argue people out of deeply held convictions. So some are retooling their messages, meeting with families one-on-one, and toning down sometimes strident rhetoric. "We needed to change our tone," said nurse Becky Sherman, project manager for the county's Ashland Immunization Team, which was set up in 2011. The new approach may be working. 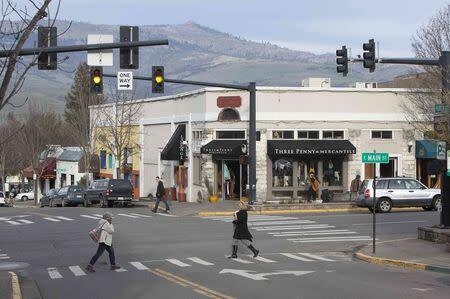 Officials in Ashland, famous for its Shakespeare Festival, pitched a child health website to a 12th grade or higher reading level, while noting that parents who refrain from vaccinating are doing so out of concern for their babies. Over the past three years, the number of unvaccinated or partially vaccinated school children in Ashland has dropped from nearly 30 percent to less than 25 percent, said Samuel Bogdanove, director of student services at the Ashland Public Schools. The county's child health website uses what Sherman calls respectful "Ashland-speak" to address parents. "Whatever your current views are on vaccines and immunizations, this site is designed to serve as a resource for you," the site says. That is a far cry from many outreach efforts, which tend to be more strident, and not always effective. A study published in the journal Pediatrics last year looked at four arguments for parents who declined measles vaccinations for their kids. The researchers shared photographs of sick children, told of an infant who almost died, distributed information about the dangers of measles and debunked a feared link between the measles-mumps-rubella vaccine and autism. None of the messages worked. And the one shooting down the autism connection backfired. "When you challenge people's beliefs they tend to try to defend them," said Dartmouth political scientist Brendan Nyhan, who worked on the study. "We should test the messaging we use to make sure it's not counter-productive." Vaccine skepticism dates back to smallpox inoculation in the late 1700s, when many feared they would instead contract the disease. Bad reactions to the polio vaccine led to its refusal by some parents in the 1950s and 1960s, and a now-discredited paper linking the measles vaccine to autism in 1998 sparked the latest round. Other parents cite the preservative thimerosal, a mercury-containing compound found in trace amounts in some vaccines, or believe kids are healthier if their immune systems develop naturally. While most Americans do immunize their children, according to the U.S. Centers for Disease Control and Prevention (CDC), at least 20 U.S. states allow public school students to take exemptions from vaccines based on personal beliefs, according to the National Conference of State Legislatures. Pockets of vaccine-refusal have grown in these states, including wealthy Marin County in California's San Francisco Bay Area and parts of Colorado. In Sacramento, public charter schools serving immigrants from the former Soviet Union have vaccination rates well below the 92 percent needed to keep diseases like measles at bay. At one campus run by the non-profit Gateway Community Charters, just 45 percent of kindergartners are fully immunized, data show. "All the other kids are coughing and sneezing and mine are great," said Inna Lastovskiy, a mother of five who fully vaccinated only her oldest child. To better communicate with parents, Gateway hired a public health nurse, Gina Warkentin, who has been meeting with families privately. "My intention is to educate people, not to offend anyone," Warkentin said. Sometimes she urges them to start with a single vaccine. Over the past two years, the number of unvaccinated or partially vaccinated children in Gateway schools has dropped, said Assistant Superintendent Michael Gillespie. "Different parents need different types of information and they need information provided in a different way," said Amanda Cohn, deputy director for immunization services at the CDC. For example, she said, persuading Amish parents to vaccinate after a measles outbreak last year in Ohio required a different approach than would work with Internet-savvy parents in California. Nationwide, 92 percent of children were vaccinated against measles in 2013, up from 91 percent the prior year, the CDC said. In Ashland, a chicken pox outbreak in December forced the cancellation of two popular holiday events and sidelined 30 students, said Jackson County public health chief Dr. James Shames. Afterward, some parents rushed to have their children vaccinated, Shames said. But not Hannah Wirth, 34. "It scares me," Wirth said. 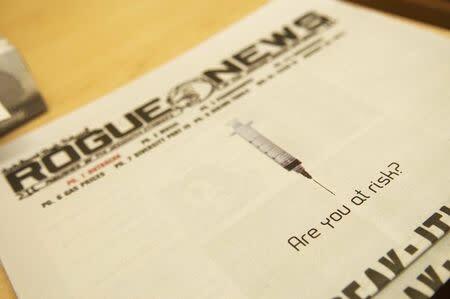 "The mercury and other chemicals in vaccines don't seem natural to put in the body."